Yogaha are excited to be offering an Iyengar Yoga Teacher Training Program in Melbourne. 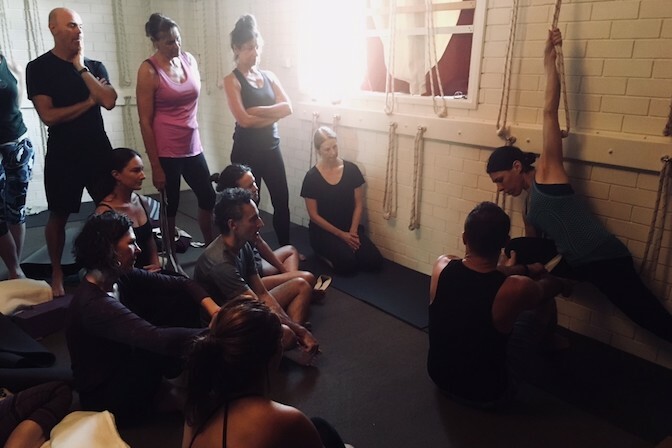 The Teaching Program will help prepare applicants to sit for teacher certification thru the BKS Iyengar Yoga Association of Australia (BKSIYAA). 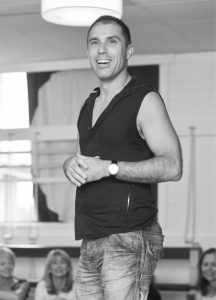 This takes place at the Yogaha Studio in Ripponlea, in the St Kilda area of Melbourne and is conducted by James Bahuth – a Junior Intermediate III certified Iyengar Yoga teacher. You will be guided and supported in developing your skills in Yoga thru intensives (x 6 annually), regular bi-monthly training and personal practice development. The groundwork and deepening, of your personal practice will become the platform from which to develop your skills in teaching. The subjective understanding that comes through personal practice will cultivate a perceptiveness and clarity within you, enabling you to respond more effectively within a teaching environment. Teaching is a noble art, it asks of our passion and dedication, and for a love of working with people. The teacher-student relating is a sacred encounter. As a student we look up to our teachers to be inspired, guided, loved and supported through our process. As a teacher we care for and support the people we are working with to grow; we show compassion; we are straightforward and reliable. We help to bring out and nourish the qualities that serve individuality and uniqueness. Some people have expressed interest in undertaking the Teaching Program for personal development only, this training is suitable for both. The overall structure of the course will align with guidelines handed down by the BKS Iyengar Yoga Association of Australia. 1.Establishing an energetic foundation and a center of gravity in the pose. 2.The use of effort for storage and distribution of energy in our body/mind. 3.The role of extension and establishing energetic pathways. 4. The use of sequencing and timing. 5.The correct use of props(supports). 1.Language skills for the development of effective communication and precision. 2.Demonstration skills and the usefulness of body language. 3.Organisational skills with handling group & individual dynamics. 4.Observational skills for developing clear perception and intuition. 6.Develop a safe and tactile awareness with physically adjusting students. 7.Presentation of an asana and its relationship with your body and personal hygiene when teaching. The Course Program will cover the systems of the body and their functioning in relation to Yoga practice. You will gain a basic understanding in the use of remedial and therapeutic aspects of yoga and how to deal with common injuries and ailments, pregnancy and menstruation. During the Training Program it is a requirement that you undertake a basic Human Anatomy and Physiology course (36 hrs in total). There are different avenues external to the course Program you can pursue upon application. You will gain an overview in the study of yoga philosophy and look more closely at Patanjali`s contribution to yoga and the application in our daily lives. As well, BKS Iyengars contribution to yoga and how it relates to the Ashtanga system of Patanjali. You will be required to submit a series of written assignments and research all relevant material, some of which will be made available thru the library at Yogaha. Note: See the intensives page for specific Intensive and T/T dates. Also there will be no T/T dates during the Victorian school holidays. periodically regarding your personal practice. assessments twice a year, mainly in Melbourne and Sydney. practitioners as well as teachers in training. (3hrs) and will be exclusively for teachers in training. and to some extent individual capabilities within the group. Yogacharya BKS Iyengar first visited Australia in 1983 his visit generating great interest in his method and teaching. In 1985 he certified thirteen Australian teachers at Intermediate Junior 3, a standard to train teachers. In 1987, with his blessing, the first assessment was held in Sydney, 12 teachers receiving their Introductory 2 certificates. Since that time, assessment of teachers have been conducted on a twice yearly basis with assessment of teachers up to and including Intermediate Junior level 3. Today there are over 300 certified teachers in Australia. The system of teaching Iyengar Yoga is methodical and progressive emphasizing a systematic approach to teaching asana and pranayama applying the methods of technique, timings and sequence to achieve yogasana. The process of certification is based on a process consisting of five levels with several sub levels. 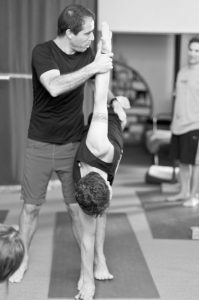 A teacher is given permission to use the Iyengar Certification Mark at Introductory Level 2 as a testament to their accreditation and certification level. Each of these levels has a specific syllabus of asanas and pranayamas. To progress a teacher must, at an assessment, meet the standard of practice and teaching appropriate for the level. It is important to note that teachers may train teachers, assess, teach remedial and pregnancy classes only when specific levels of certification are attained. Levels above Intermediate Junior Level III are assessed by Mr Iyengar or his designate and teachers above this level are considered senior teachers. Teacher training and assessment proceedures have been established over the years to worldwide standards under the guidance of BKS Iyengar. The BKSIYAA conducts assessment throughout the year usually scheduled around May/June and October/ November depending on the number of applicants. A teacher’s certificate is considered current only if they renew their Certification Mark licence each year. The licence may only be used by teachers certified by the Association or by BKS Iyengar himself. 1992 – 2010 before establishing Yogaha in Ripponlea.